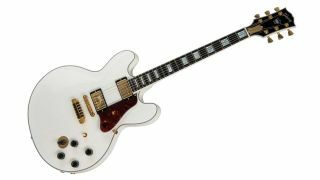 Gibson has announced an all-new version of the BB King Lucille ES-355, now in Alpine White. Visual tweaks abound, including an engraved bridge pickup cover, Lucille engraved truss rod cover and ‘Crown’ mother-of-pearl headstock inlay. As per BB’s specs, the guitar comes kitted out with a Stereo Varitone setup, as well as Gibson 490R and 490T humbuckers. Elsewhere, there’s a TP-6 Fine Tune tailpiece and mother-of-pearl full block inlay fingerboard. The limited-run BB King Lucille ES-355 is available now for $5,499 - pop on over to Gibson for more info. 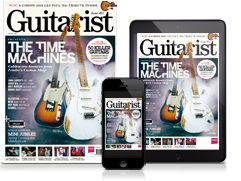 This latest take on Lucille joins the rest of Gibson’s back-to-basics 2019 guitar range, and is one of the first models to be announced since the company’s new CEO, James ‘JC’ Curleigh, took up the hot seat.